I don’t know what it’s like where you are, but most of British Columbia has been experiencing a heat wave. This and the drought we’ve been experiencing has led to literally hundreds of forest fires. A couple weeks ago, all I experienced when outdoors was the smell of smoke. It was horrible, but thankfully that forest fire has been taken care of! While the forest fires and drought is not good for anything, and nor is extreme heat, I’m really looking forward to this heat wave dying down and just having some regular summer weather. I recently dressed one of my dolls up in some temperature and weather appropriate clothing for some photos. 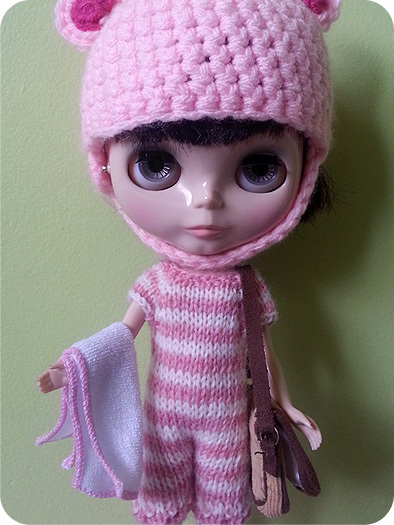 I don’t have a lot of swim suits for the dolls, but I did recently knit a romper that my sister had declared looked like an “old school bathing suit” and that it was a good thing I didn’t stripe it black or else it’d be a prison jumpsuit! 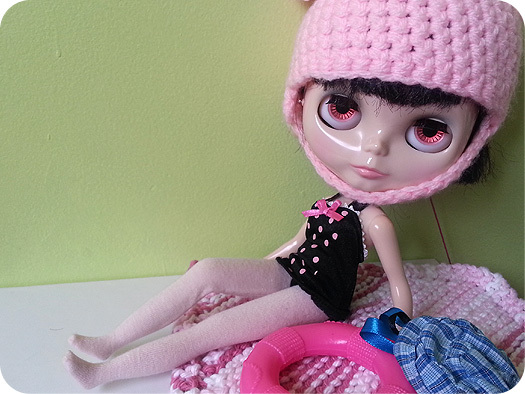 It’s kind of embarrassing that I don’t own a Blythe-sized swim suit that isn’t pink. Eden has effectively taken over my mind when I buy doll things because for the longest time I didn’t have a lot of pink things and it’s hard when a doll only wears pink. Now I have to consciously be aware enough to look at things in other colours, which is really a good thing because things I buy in other colours have a wider range of dolls that will wear them. The small towels and pool toys I’ve had for a while (it’s amazing what you accumulate after 6 years in this hobby!) and they just make the photo, I think! 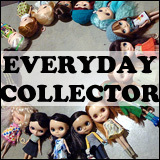 I had to tidy up for visiting relatives, which led to me going through all of my doll stuff because who doesn’t love procrastinating? During that tidying procrastinating, I came across the pool toys and knew that I wanted do some photos with it. And there you have it! A pool and beach ready girl- and nobody else! How’s the weather where you are? 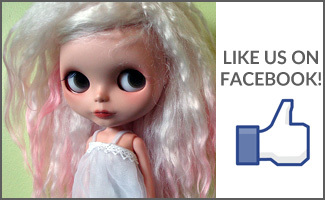 Have you taken any summer-themed photos with your dolls yet this season? 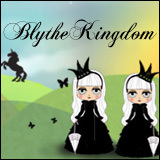 Eden Mouse’s wearing: black swimsuit/Prima Dolly Aubrey stock, helmet/chelleshocks (me! ), tights/unknown, striped romper/chelleshocks, pink swimsuit/Barbie. The summer weather is going strong where I am, but i haven’t taken any summer themed photos (yet!). The warm weather and sun does motivate me to bring my dollies out more for outdoor photo shoots!